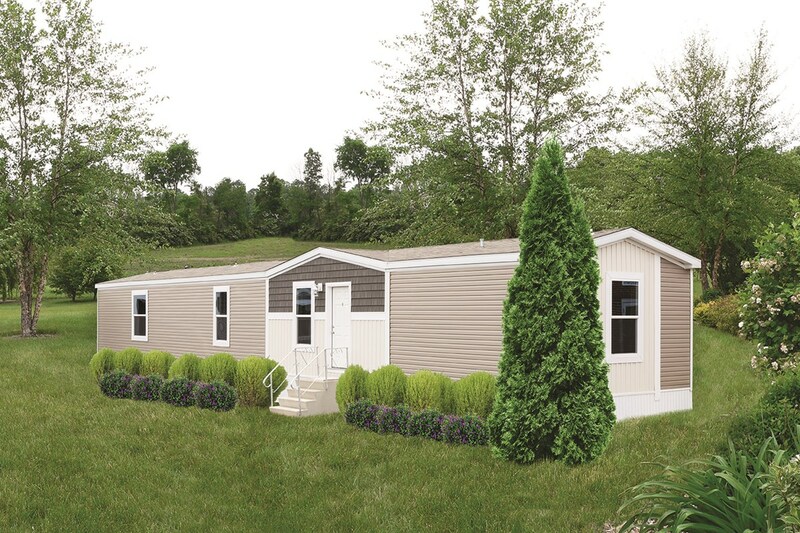 The Vision I 16x80 Single Wide home is now on display at Hawk Homes & Owl Homes of Allegany. 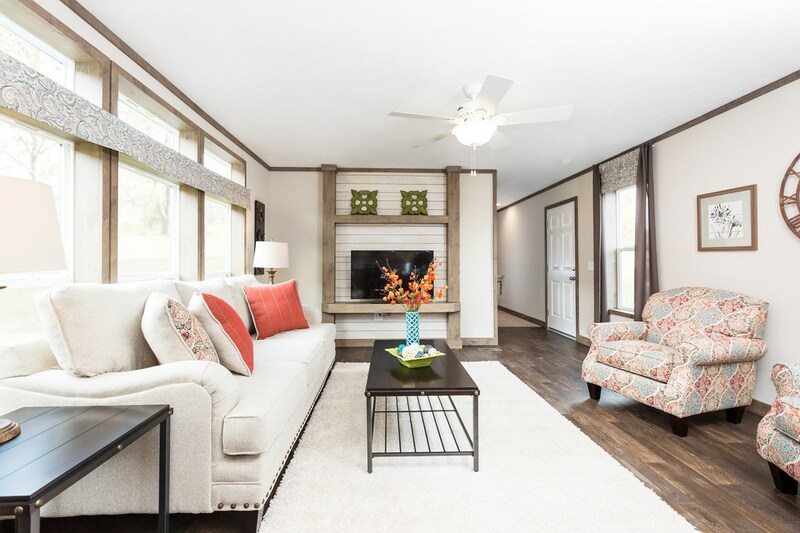 Another new plan offering curb side exterior appeal and a great impact once opening the front door. 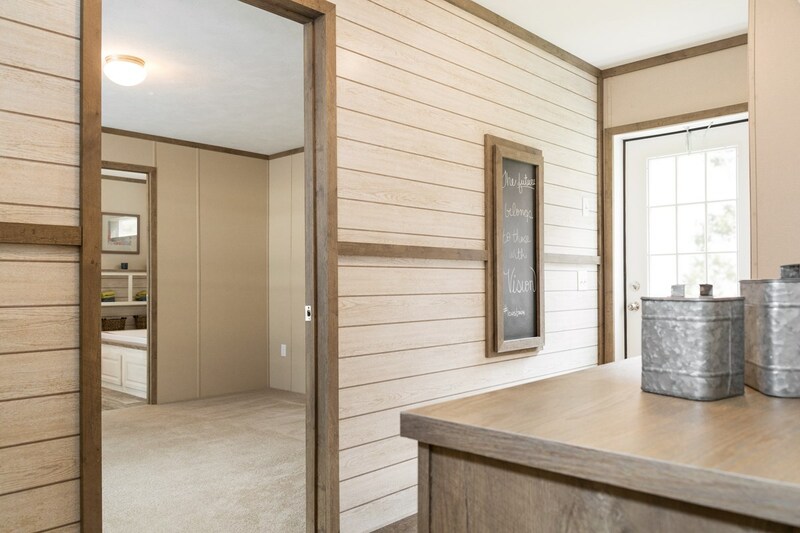 As soon as you enter the home youll notice the Drop Zone perfect for keys and charging cell phones. 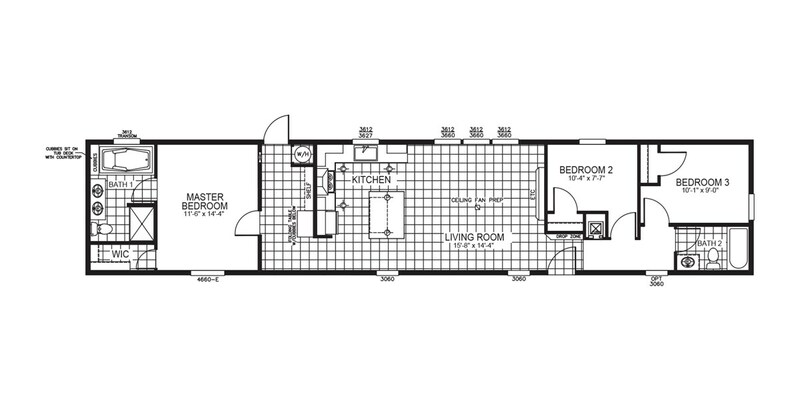 Turn left and enjoy the wide open space in the Living Room & Kitchen set off by multiple Transom Windows. 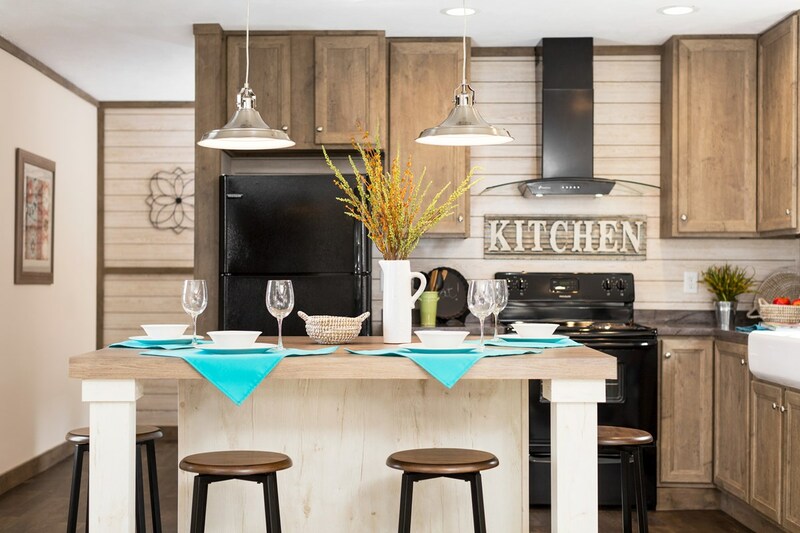 The Kitchen offers a large Eat-in Island with Industrial Stem Lights, Black Appliances & Euro Style Range Hood. 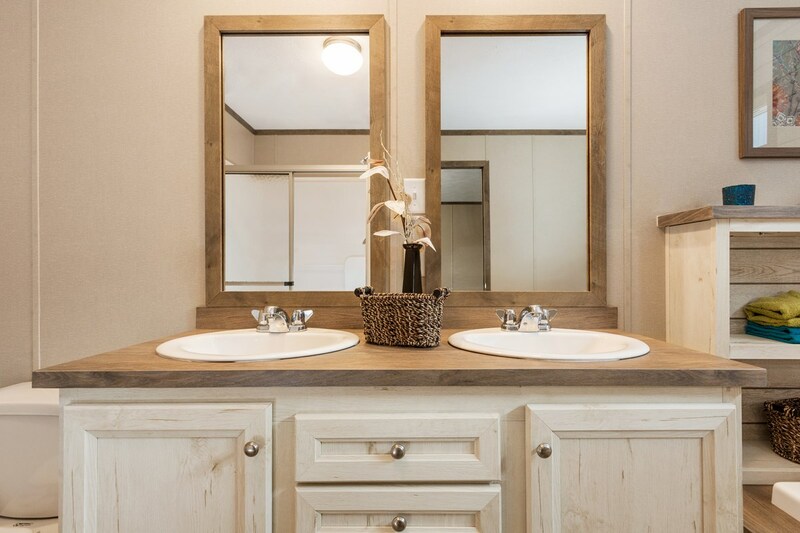 The all new Duracraft 42" Iron Mountain Pine Cabinetry offers you quality to last a life time. 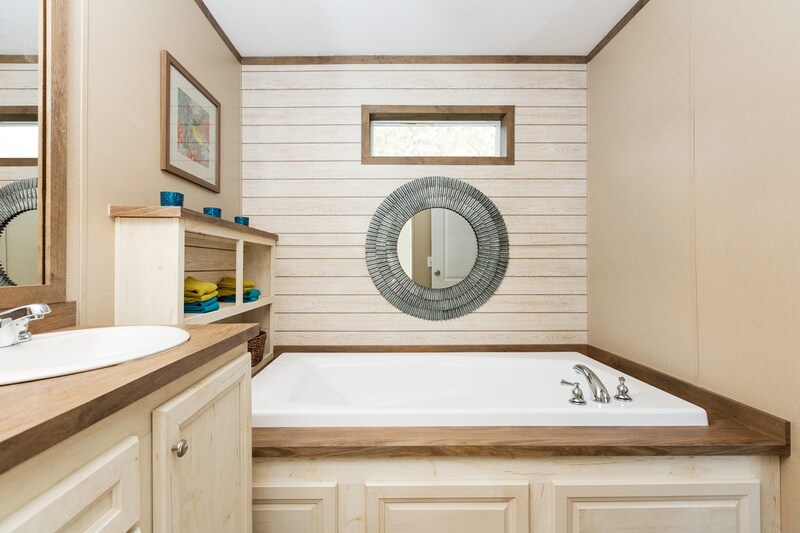 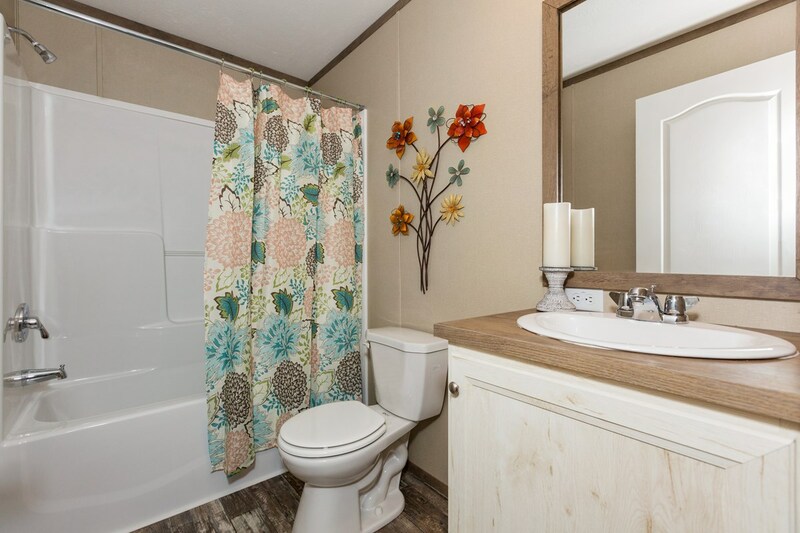 The Master Bath offers a great look as well with Large Tub & 72" Deck plus a 48" Shower. 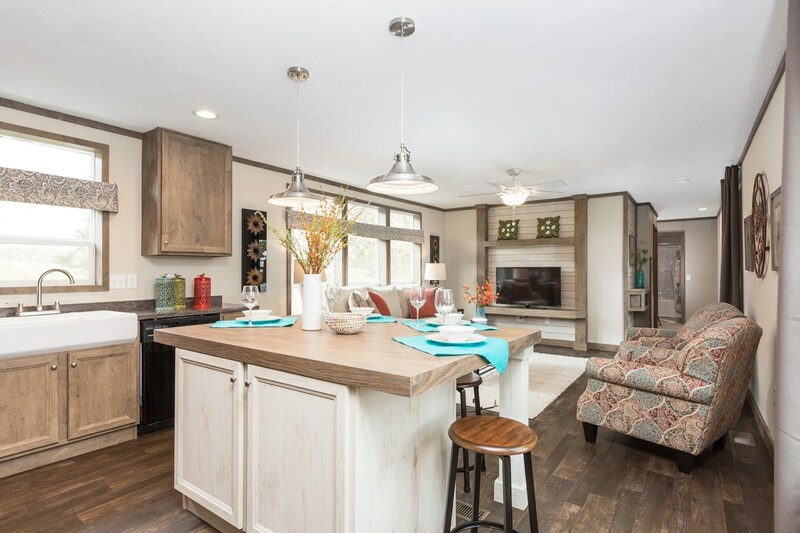 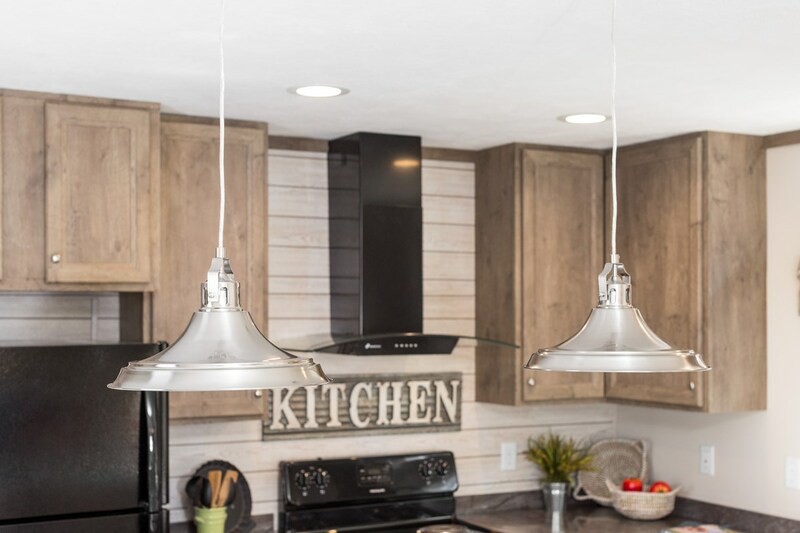 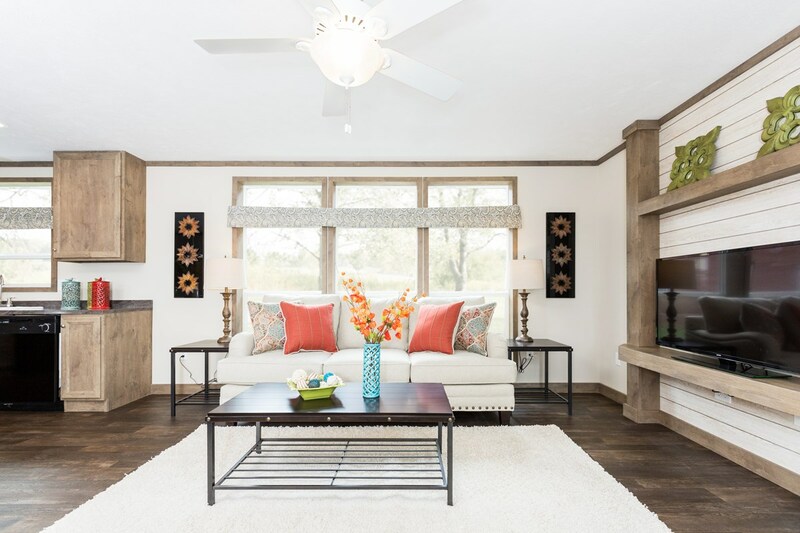 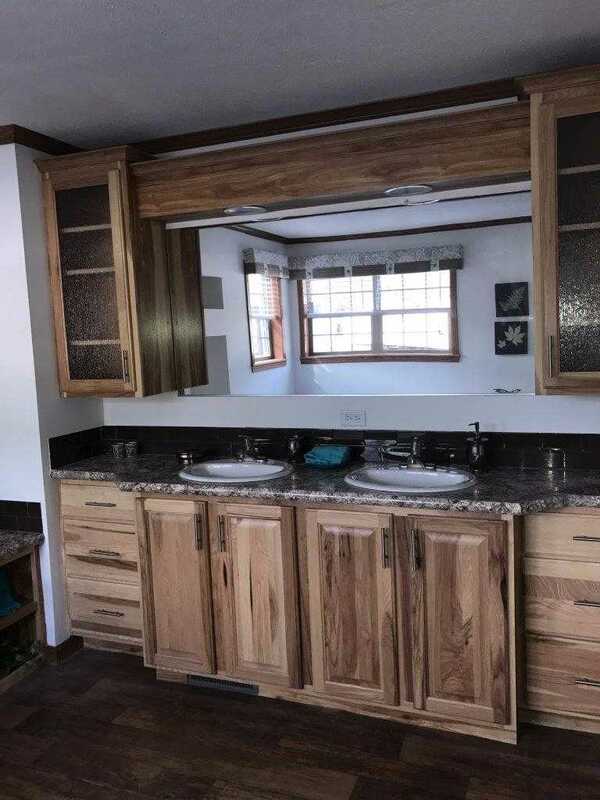 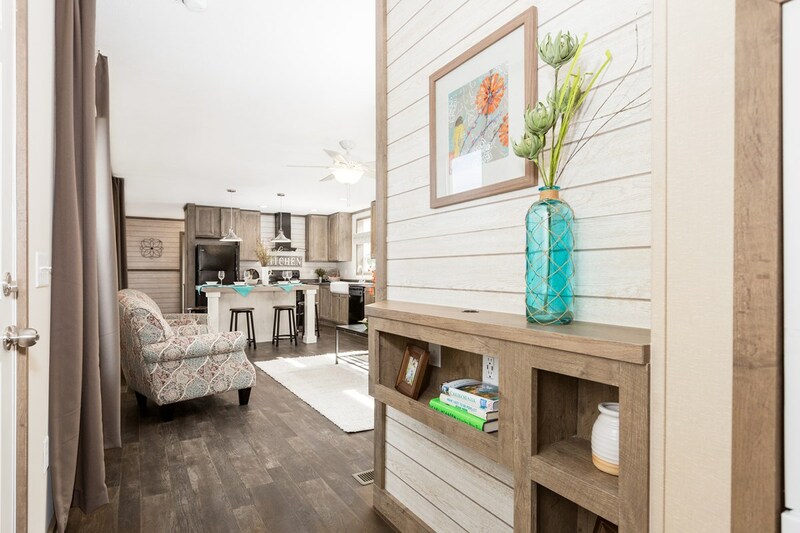 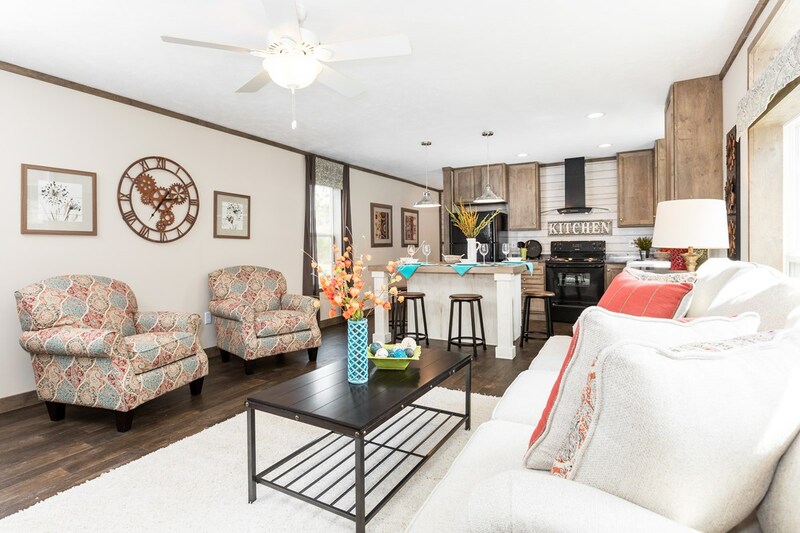 With a impressive color & decor package that catches the eye tied in with finished drywall in the Living Room & Kitchen all you need is to add furniture to have a dynamite looking new home. 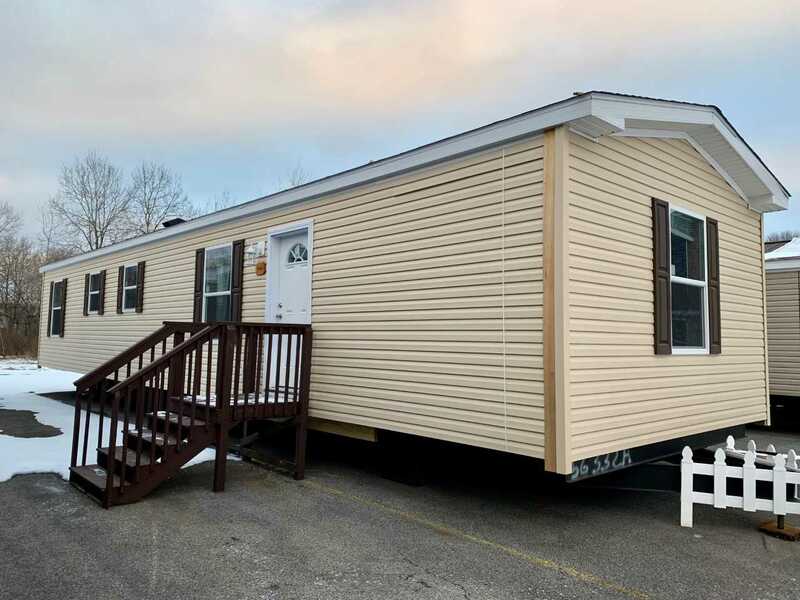 For more information contact Hawk Homes or Owl Homes of Allegany today!